Perry’s commitment to providing a public library is firmly rooted in the history of this community. From humble beginnings in a small reading room in the upper story of a building on the town square, the Library opened as a public library in 1906. 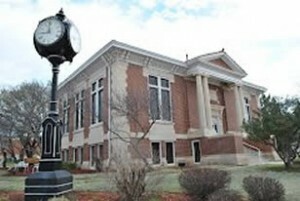 The city of Perry obtained a grant of $10,000 from Mr. Andrew Carnegie to build the current Perry Carnegie Library, which was completed in 1909. Monday through Thursday 10:00 am to 6:00 pm. Friday 10:00 am to 5:00 pm. We also close some some Saturdays for Perry Celebrations such as the Sixteenth Celebration in September.